Bold. Bright. 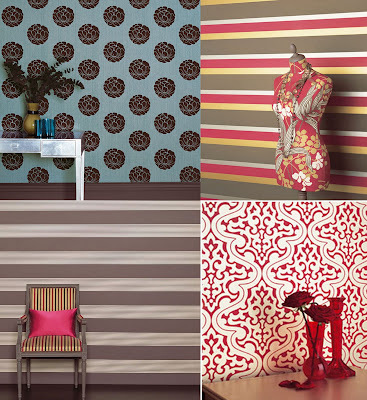 Graphic...who knew wallpaper could be so much fun!? 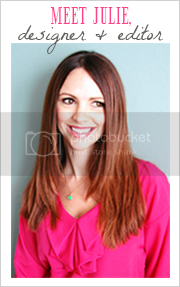 Far from dull and traditional, these prints can really "make" a room! Whether they're used in a small space to add interest, on a bed wall, in a foyer, on a ceiling - the patterns and colors can almost act as art and create a memorable focal point in any space. This cheerful wide stripe looks great with the white furniture and black and white fabric accents. Tip: Vertical stripes make a room look taller so think about this next time you are designing a room with a lower ceiling. 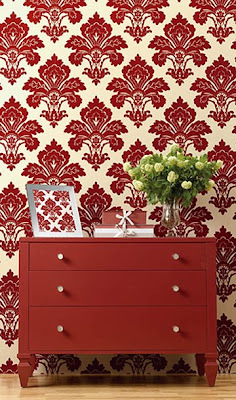 Visit Domino Magazine for more great room scenes for with wallpaper ideas! Although this space is somewhat cluttered, the graphic wallpaper and crisp white mirror give it a cleaner look. 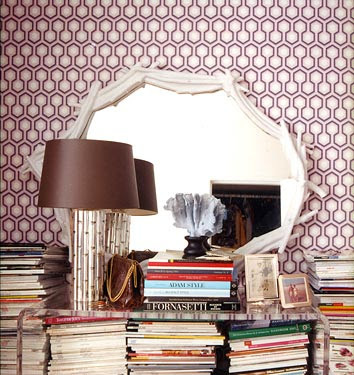 The shape of the mirror echoes the geometric shape in the wallpaper. Image from Domino Magazine. All from Romo, clockwise from top left 1)Lasari Flock Wallcovering - this bold pattern looks great behind the pewter console table, 2) Rubani Collection - this high contrast stripe would be fun to use in a craft/hobby room mixed with painted white lacquer furniture pieces, 3) Caruso Stripe - love the wide horizontal stripe mixed with the small vertical striped fabric on the chair, 4) Arturo pattern - love it - especially accented with the bright red vases. Designer's Guild Bergamasque wallpaper in Duck Egg. This looks fantastic above the crisp white wainscoting and the cut velvet striped sofa pairs nicely with the bold pattern on the wall. 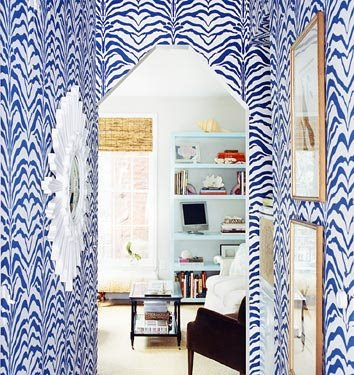 The zebra pattern is a fun and an unexpected way to accent a transition between rooms. 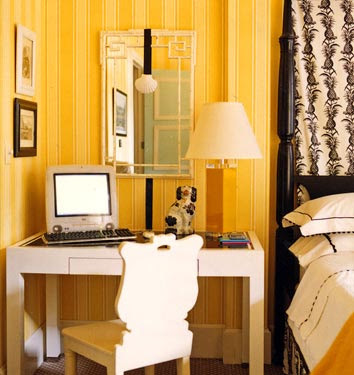 Because of the simplicity of the other room, the busy wallpaper doesn't feel overwhelming. From Nina Campbell, Fleur de Lys Court wallpaper - an excellent choice for a dramatic foyer or niche. 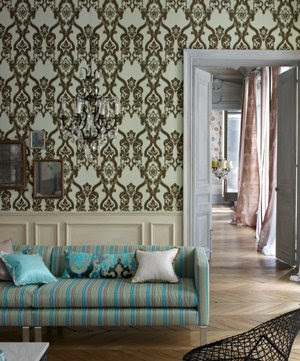 Large patterns like this one look best in small doses. haven't tried it yet myself, but i love all of these shots that you chose! it adds so much to a room. I have a bathroom and the walls are all white, I think I would be too scared without you to do this but I know I would love wallpaper like this!! 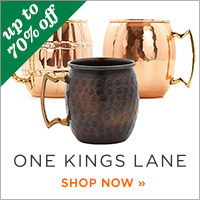 I am going crazy redecorating my den...I am searching for graphic wallpaper design, vintage bar cart, a cocktail table, not to mention the perfect color "GRAY" that is a true soft or muted... any ideas?